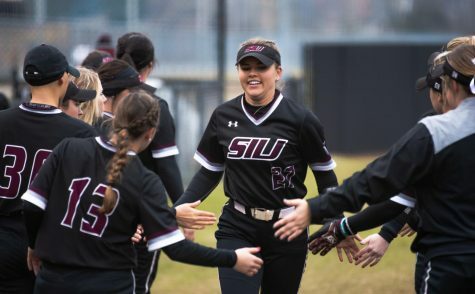 Although it took some dramatics, SIU softball will go into Sunday trying to earn a sweep in the first series of the Missouri Valley Conference. 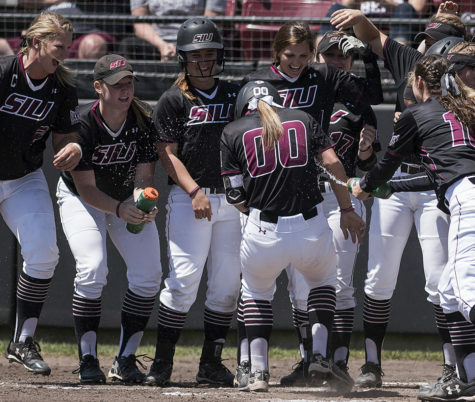 Southern swept its MVC-opening doubleheader against Bradley on Saturday, winning its first game 6-1 and the second by 2-1 in eight innings. 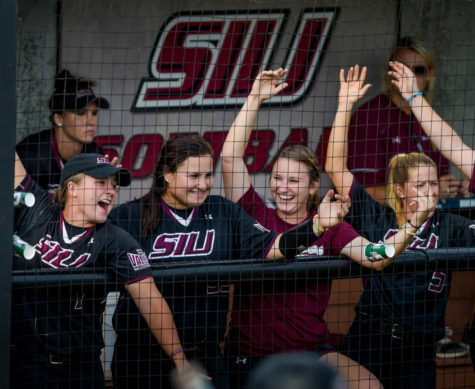 SIU’s freshmen guided them through the first game of the day. 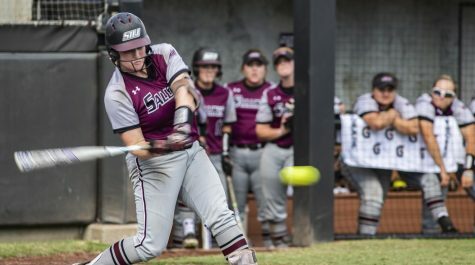 The trio of right fielder Susie Baranski, designated player Katelyn Massa and second baseman Maddy Vermejan accounted for four of SIU’s five hits in the game. Baranski provided a spark from the leadoff spot all game. She led off the first inning with a double and eventually came around to score on a wild pitch. 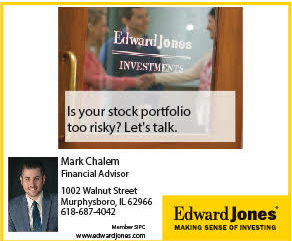 The next inning, the Chicago Heights native came through again with a deep fly ball to center that was dropped by the Braves center fielder Caitlyn McCarron, which allowed two more runs to score. Bradley scored its only run of the game in the third on an RBI single from junior catcher Maria Schroeder. 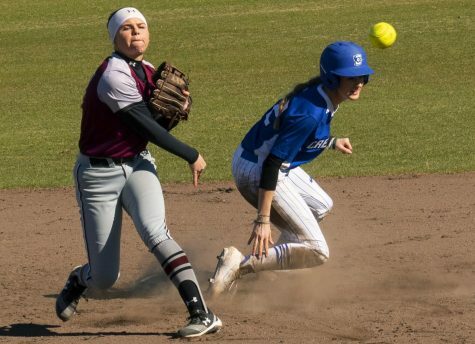 That run was one of the few blemishes of the game on sophomore pitcher Brianna Jones’ (5-7, 1.97 ERA) line for the game. 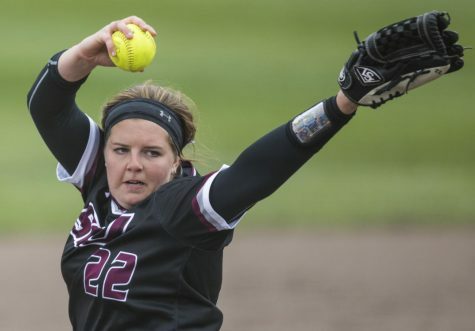 She threw all seven innings, allowing four hits and striking out six. The second game had an entirely different feel as both pitchers were in control for most of the game. Bradley pitchers Julie Kestas and Jaelen Hull combined to hold SIU to two hits through the first six innings. 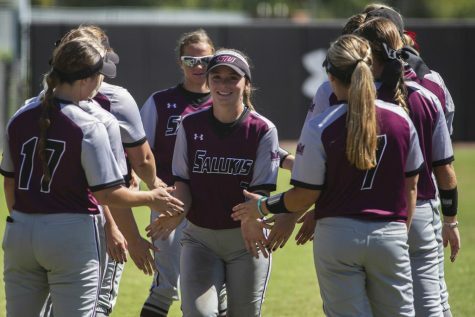 Meanwhile, Saluki pitcher Savanna Dover also had a solid game, allowing the one run and striking out five. 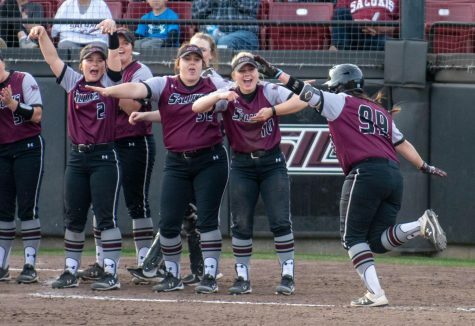 The Salukis were down to their final out in the seventh before junior third baseman Haley Andrus brought home center fielder Merri Anne Patterson to tie the game at one. 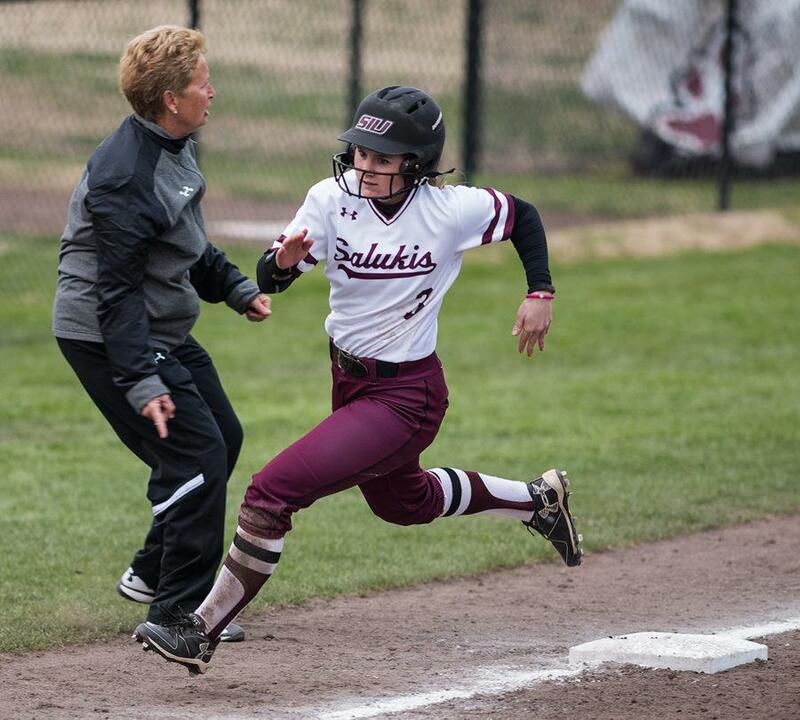 After Dover shut down the Braves in the eighth, Baranski led the Salukis’ half of the inning with a bunt single, and advanced to second on a sacrifice bunt by left fielder Eyrika Brandenburg. Two batters later, Massa ended the game with a walk-off double to clinch the sweep. 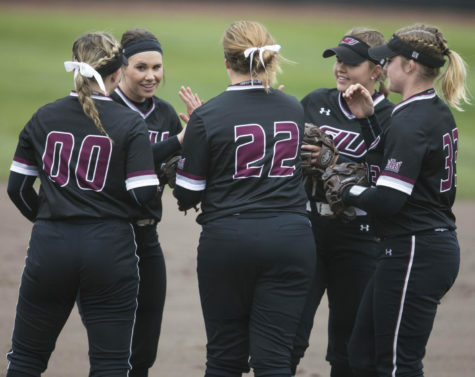 SIU will attempt to sweep the Braves at 11 a.m. Sunday at Charlotte West Stadium.